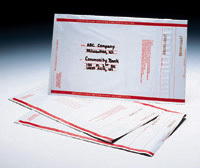 Security envelopes are tamper-evident and must be cut or torn to open. 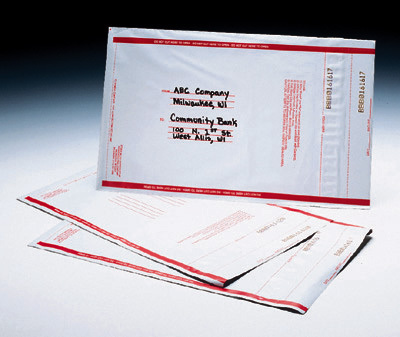 Envelope closes with self-sealing, permanent adhesive strip. Coextruded polyethylene material is nearly indestructible. Preprinted address area. Includes sequentially numbered tear-off receipts for security records.